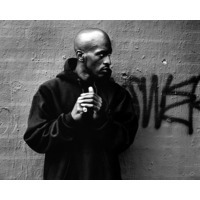 William Michael Griffin Jr. (born January 28, 1968), known by his stage names Rakim (or simply Ra), Rakim Allah and R.A.K.I.M., is an American rapper. He is widely regarded as one of the most influential and most skilled emcees of all time due to his exceptional flow and complex lyrical craftsmanship. Eric B. & Rakim's classic album Paid In Full was named the greatest hip hop album of all time by MTV. In addition to his career as a rap artist, he is an author and a poet. Rakim's rapping, which pioneered the use of internal rhymes in hip hop, set a higher standard of lyricism in the genre and served as a template for future rappers. Rakim began his career as a emcee for part of one of the most important rap duos of the golden age hip hop era: Eric B. & Rakim.